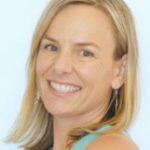 *Lindsay’s Note: The following is a guest post by Wendy Foster, a certified Pilates instructor, pre / post fitness specialist, and birth recovery expert. I’ve been talking to Wendy since Baby Awesome was born and she wrote this great post on Birth Recovery Tips. I am planning to follow these tips and I hope they can help you, too! You can learn more about Wendy in her bio below or on our contributors page. Essential birth recovery tips for feeling FIT and AWESOME! Lets face it. You spent months learning about pregnancy and birthing. Then the big day comes; you meet your little one and are discharged. If you’re like most new moms, you leave the hospital or birthing center with more questions than you thought imaginable. If you had a homebirth, your midwife may have mentioned something about taking it easy and drinking plenty of water. If you had a cesarean, your surgeon probably told you not to lift anything heavier than your newborn for six weeks. Usually, you are told what NOT to do. 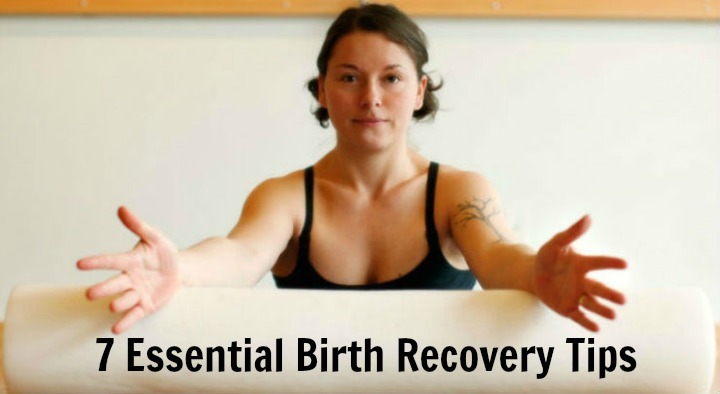 Yet instruction on what you SHOULD do, along with the benefits of specific stretches, breathing techniques, and proper biomechanics for lifting and holding baby can aid greatly in a safe birth recovery. Here are a few steps you can take within the first six weeks postpartum to help reclaim your core and begin feeling fit and awesome! 1) Get a prescription for PT – ASAP. Before you leave the care of your doctor or midwife, ask for a prescription for physical therapy. You may not use it, but this way you’ll have it if needed. Working with a birth recovery specialist or PT who specializes in women’s health can make all the difference, especially if you had a cesarean. 2) Ask for a binder/splint. Again, remember to do this before you leave your healthcare provider. 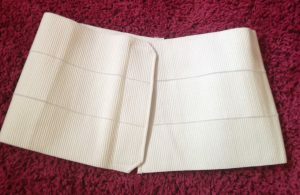 Many hospital nurses will go in “the back” and find a support binder for you, but only IF YOU ASK. A binder helps support your back and core, especially if you have separated abdominals. Postpartum wrapping and staying warm in the core is a tradition in many cultures. If you don’t have a binder, use a Moby wrap, an old pair of yoga pants, or other stretchy material. If you have diastasis recti less than two fingertips wide, light support is all you need. For more severe separation, you will need a more therapeutic binder. Both should be covered by your insurance and used for 60 days. This is what a CORE binder looks like. 3) Use a foam roller to realign. 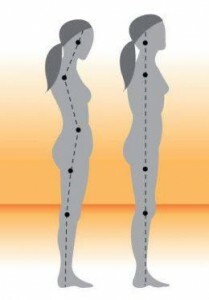 How you move, sit, walk, feed baby, and sleep all affect your alignment. The foam roller is the quickest way to release tight connective tissue that may be impeding your ability to maintain ideal alignment. Many postpartum foam roller stretches can be found here. 4) Listen to your body. Do a body scan within the first week postpartum. Where are you tight? What is in pain? Are you using your shoulders to lift your baby? What needs to be stretched? Make movement pattern adjustments now. This will ensure that when your baby packs on those future pounds, your LITTLE pain in the shoulder doesn’t turn into a BIG pain in the back. 5) Exercise safely. The exercises you have done in the past may not work for you now. Your body may feel foreign to you. Move your ribs when you breathe, stretch your hamstrings, and modify your moves. Go to a mom + baby class or postpartum workshop to learn essential postnatal stretches and modifications. If necessary, learn cesarean-specific, restorative stretches and exercises. Cesarean Recovery Kit from Mamalates. 6) Change your idea of “effective exercise.” Before baby you probably thought that you needed at least an hour to workout. Not true. Many benefits can be had in a 10-minutes-here-4-minutes-there approach. I know, before you had baby you had huge chunks of time. Now you have “1o minute windows.” Figure out how to be the most productive within those small morsels of time. 7) Receive bodywork. Thai massage, cranial sacral therapy, acupuncture, or gentle stretching with a resistance band can all help relieve pain and realign. Many cultures practice rituals around postpartum abdominal massage, full body massage and assisted stretching techniques. Check with birth professionals in your area, you may be surprised at the additional services that they offer. Hopefully you will find these tips helpful on your way to recovery and on your path to feeling fit and awesome again! Be patient. Postpartum realignment and strengthening can take time. But creating a strong foundation now will pay off tenfold down the road. Besides, I always say that postpartum is the perfect time to reinvent your connection to yourself and your fitness! What about you? Do you have any birth recovery tips that have been helpful to you? Post in the comments and let us know! Pregnancy Update - I'm Full Term! 7 Essential Birth Recovery Tips from Wendy Foster of Mamalates. Wendy is a certified Pilates instructor, fitness specialist & birth recovery expert. Great article! I currently don’t do any of these and wish I had started sooner. You usually focus on the pregnancy and not postpartum care so this was very insightful. Thanks I will start with these suggestions right away! Lan- Me too! I just started wearing the abdominal binder after a month but I figured it’s better late than never!